The Venture Horizon Media Storage Tower is one of our most successful products by any standard. The original Model 2030 is available in black, cherry and oak. All with a black interior. 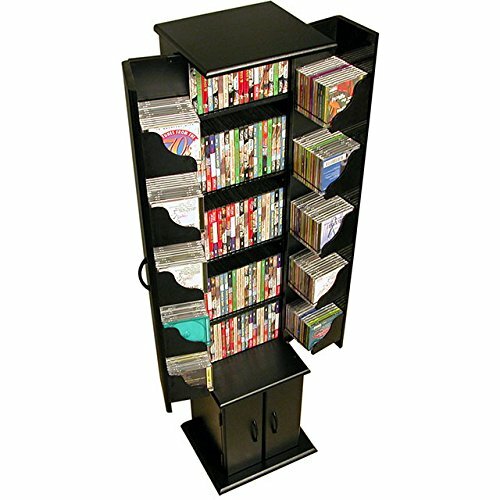 The Media Storage Tower has seven (7) shelves (3 adjustable) combined with 10 pocket shelves in the doors that will organize an entire media collection. Constructed from durable, stain resistant, laminated wood composites, that includes *MDF. The Media Storage Tower measures 68? high x 15? wide x 17?? deep at the base and weighs 60 lbs. Assembly required. Made in the USA. If you have any questions about this product by Venture Horizon, contact us by completing and submitting the form below. If you are looking for a specif part number, please include it with your message.